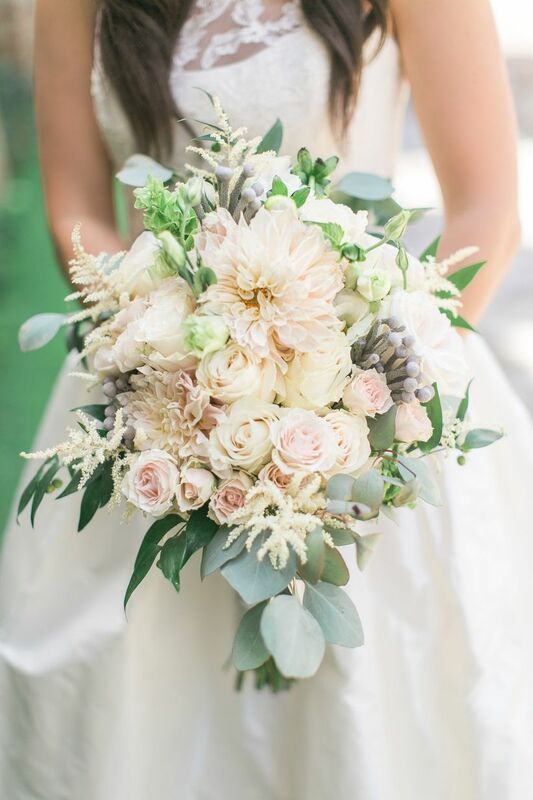 Wedding flower trends have changed a lot over the last 10 years. Wedding flower arrangements have changed a lot over the last 10 years. 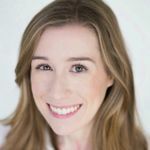 In honor of WeddingWire’s 10th anniversary (hooray! ), we decided to take a walk down memory lane to see just how far floral trends have come since 2007. Take a look at our recap here! Ten years ago, fuchsia pink was one of the decade’s hot colors. It could be seen at weddings on everything from the flower arrangements to the cake, and even bridesmaid dresses (with shoes custom-dyed to match perfectly, of course). 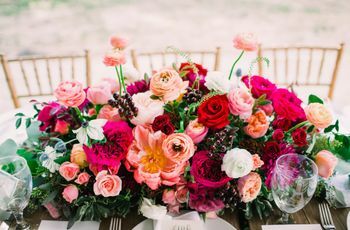 Vibrantly colored flowers, such as peonies, orchids, roses, and lilies, were paired with other eye-catching blooms for a whimsical look. As sustainability practices gained popularity in everyday life, the “trend” was also incorporated into weddings. Couples began re-thinking their wedding planning, from finding ways to reuse décor to sourcing local foods and minimizing waste. 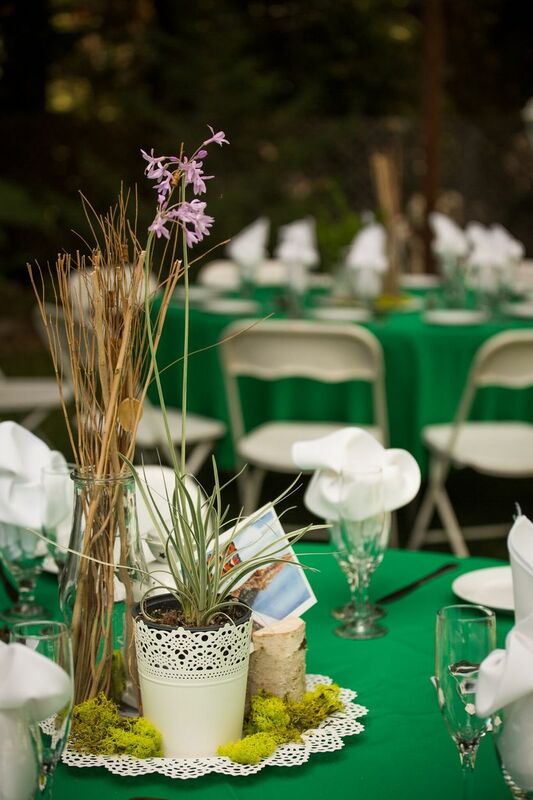 Potted arrangements, wildflowers, moss, and even garden herbs were just a few takes on the eco-friendly floral trend. Couples continued to personalize their weddings by adding unique details, including decorative accents, to reflect the wedding’s theme or style. 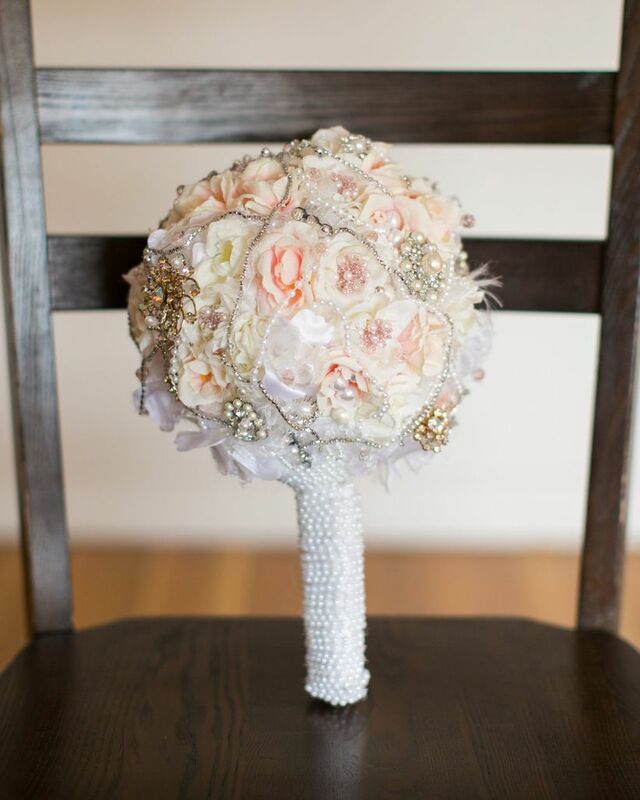 Bouquets and centerpieces were adorned with anything from sparkly heirloom brooches to glamorous peacock feathers, vintage pearl strands, and photo charms in honor of loved ones. Do-it-yourself décor emerged onto the wedding scene around this time. 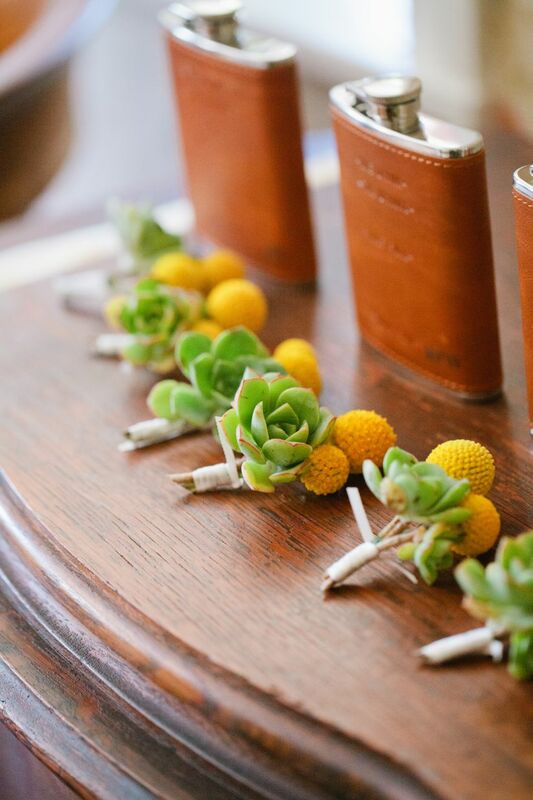 Handmade details were a popular way for couples to add their own personality into the wedding décor, and sourcing vintage pieces from thrift stores and antique shops was a new trend. 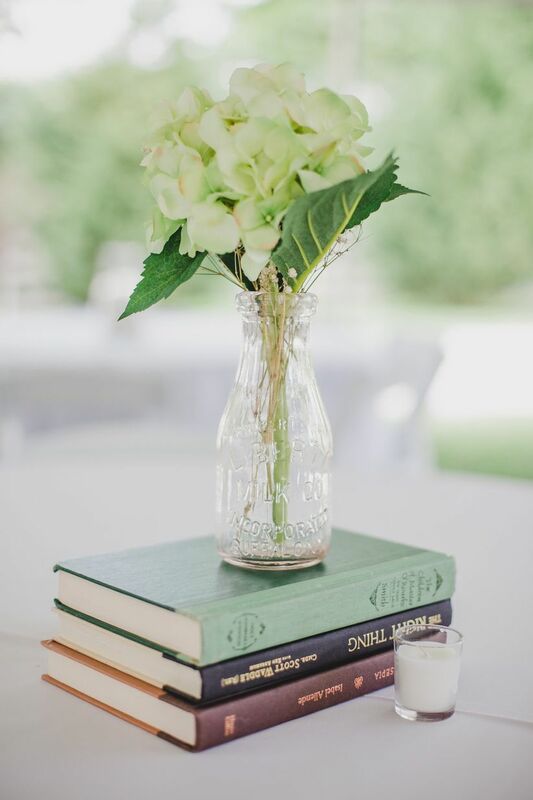 Mismatched vessels, picture frames, books, and other interesting trinkets were incorporated into arrangements for a one-of-a-kind effect. This fun yellow accent started popping up in all types of floral arrangements, from bridal bouquets to boutonnieres, centerpieces, and even aisle markers. Also known as billy balls, craspedia became super popular thanks to its flexibility for a variety of styles. 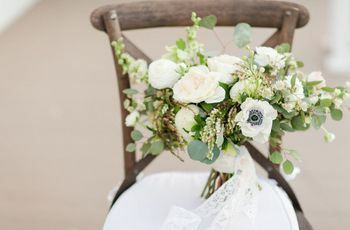 Pairing it with daisies or hydrangeas created a rustic vibe, while adding it to an arrangement of ranunculuses or succulents was a more playful take. By 2012, barn weddings had swept the industry by storm. 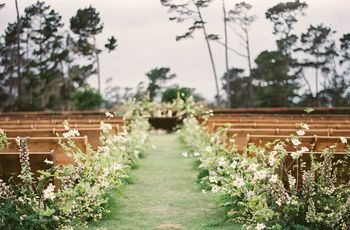 Baby’s breath, which was previously only used as a “filler flower,” became the go-to bloom for barn weddings and rustic themes. As rustic wedding style grew in popularity, it seemed like the delicate (and budget-friendly!) flower was suddenly everywhere. 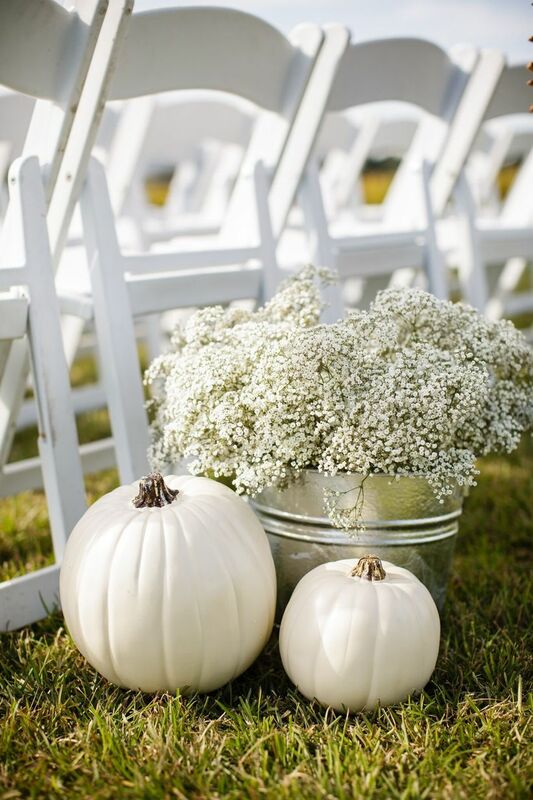 Five years later, baby’s breath is still a staple at rustic weddings. 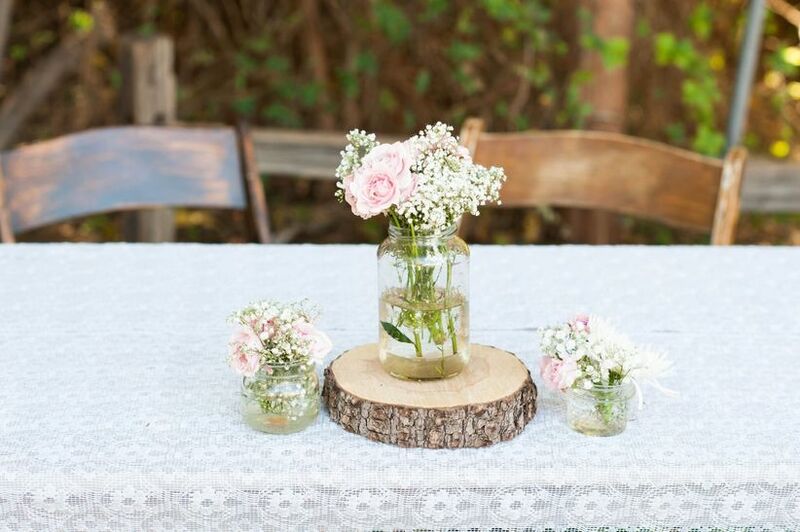 In 2013, no rustic wedding was complete without a collection of flower-filled mason jars, whether they were used as aisle markers, reception centerpieces (most likely displayed atop wooden slabs), or simply placed throughout the venue. Pinterest had become a wedding inspiration hub by this point, and you couldn’t escape mason jars even if you wanted to. Four years later, mason jars are starting to fade out as a trend, but we’re not convinced that they are completely over—yet. They started as music festival accessories, but it was only a matter of time before floral crowns found their way into wedding fashion. Boho brides immediately embraced the trend as they wore halos of flowers and greenery down the aisle—the bigger the style, the better! 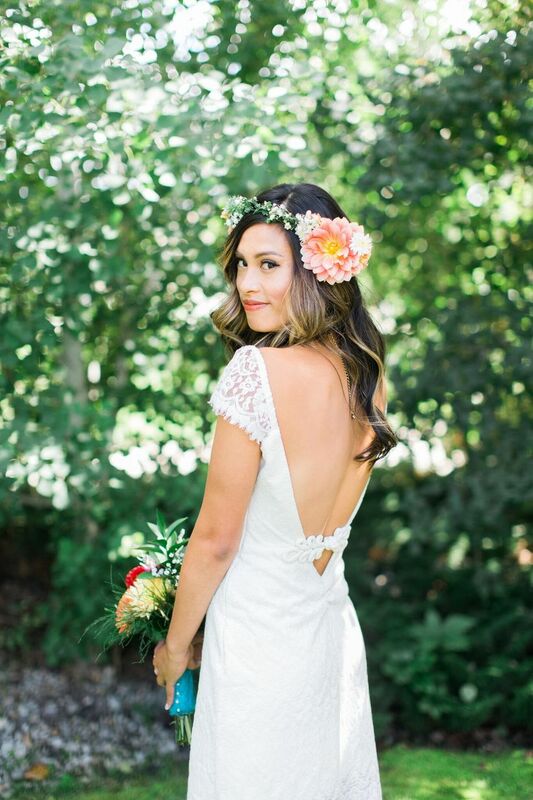 Floral crowns were perfect for summer weddings and added an extra dose of romance to a bride’s overall look. Giant, loosely tied bouquets were a spinoff of the bohemian floral crown trend. 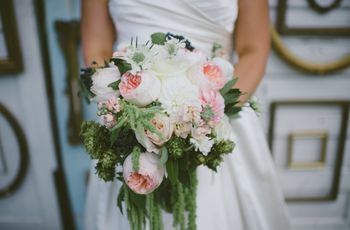 The oversized arrangements usually involved a lot of greenery and large flowers, such as peonies, garden roses and café au lait dahlias. Soft and ethereal colors, especially blush pink, were favored instead of bright or vibrant colors. Long, trailing ribbons tied around the stems often served as the finishing touch for these bouquets. One of the prettiest floral trends to emerge in the last several years is greenery. Lush and leafy greens were added as accents to the main floral arrangements or in place of them entirely. 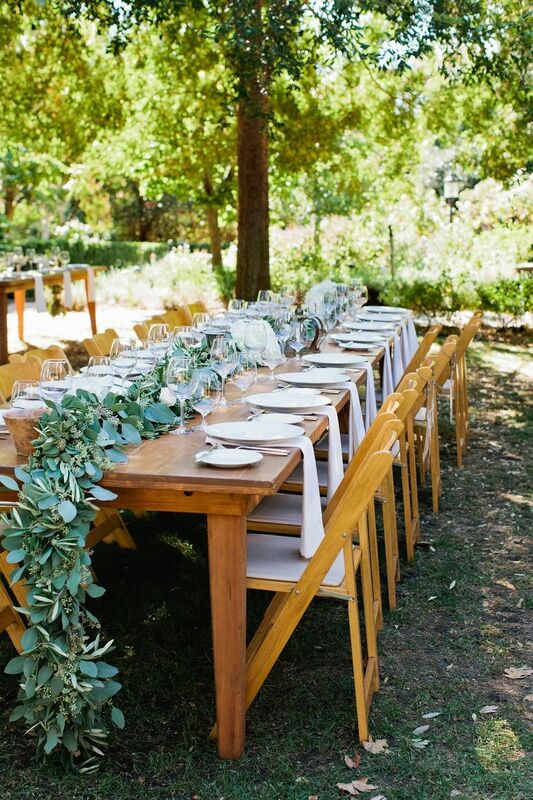 From greenery-adorned ceremony arches to long banquet tables lined with fresh bunches of eucalyptus, greenery is a trend that still has us swooning today. Luckily, we don’t see it going anywhere anytime soon, especially since Pantone named “greenery” as their 2017 Color of the Year. 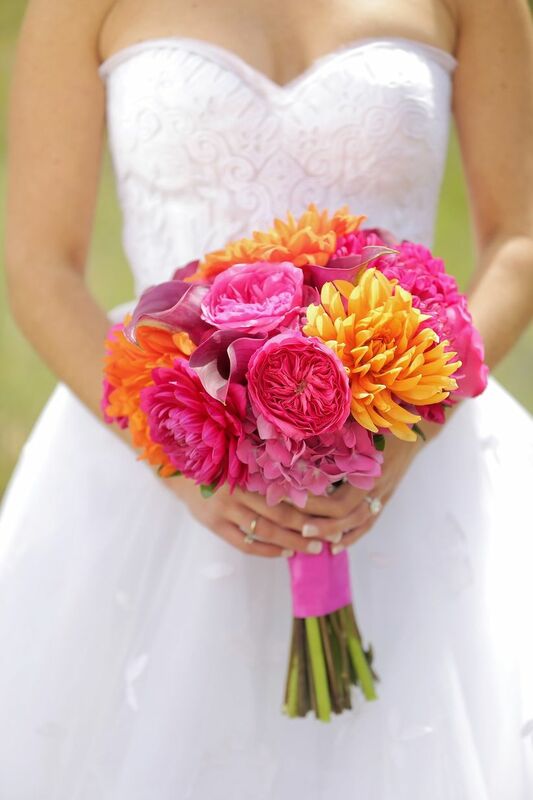 The newest way to use flowers at your wedding is to showcase them in a completely unexpected way. 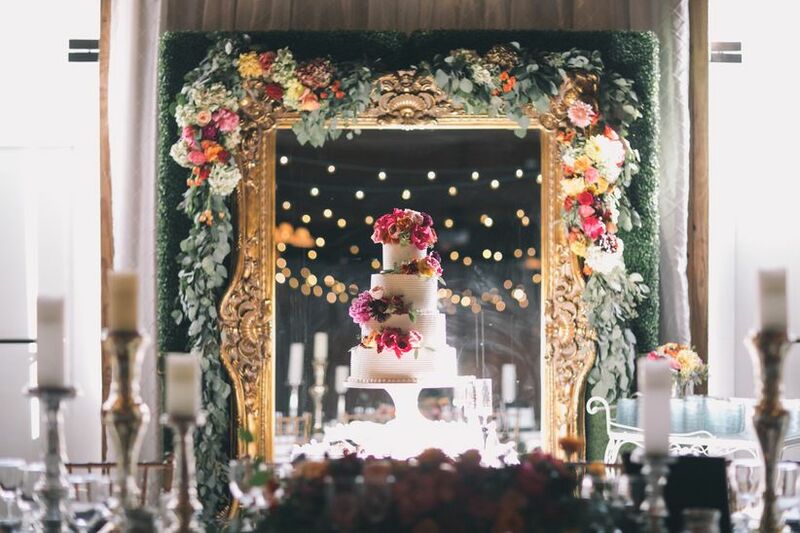 Unique floral installations—backdrops, chandeliers, and even stunning cake displays—allow you to personalize your décor with a custom design while wowing your guests at the same time. Think of it as floral artwork that goes beyond the typical bouquets and centerpieces. We can’t wait to see what’s next!